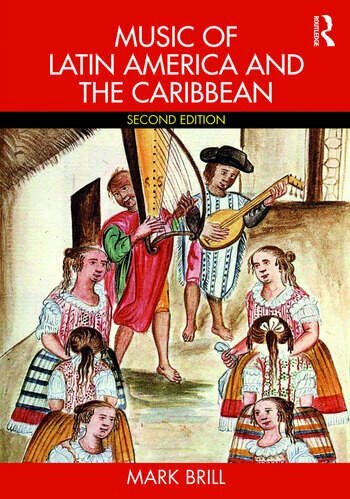 Music of Latin America and the Caribbean, Second Edition is a comprehensive textbook for undergraduate students, which covers all major facets of Latin American music, finding a balance between important themes and illustrative examples. This book is about enjoying the music itself and provides a lively, challenging discussion complemented by stimulating musical examples couched in an appropriate cultural and historical context—the music is a specific response to the era from which it emerges, evolving from common roots to a wide variety of musical traditions. Music of Latin America and the Caribbean aims to develop an understanding of Latin American civilization and its relation to other cultures. Organized along thematic, historical, and geographical lines, Music of Latin America and the Caribbean implores students to appreciate the unique and varied contributions of other cultures while realizing the ways non-Western cultures have influenced Western musical heritage. With focused discussions on genres and styles, musical instruments, important rituals, and the composers and performers responsible for its evolution, the author employs a broad view of Latin American music: every country in Latin America and the Caribbean shares a common history, and thus, a similar musical tradition. Mark Brill is an associate professor of musicology and world music at the University of Texas at San Antonio, where he specializes in the music of Mexico and Latin America.